Split Screen - What Cookies? Comic 69 - What Cookies? You've done it now, Jer Bear! 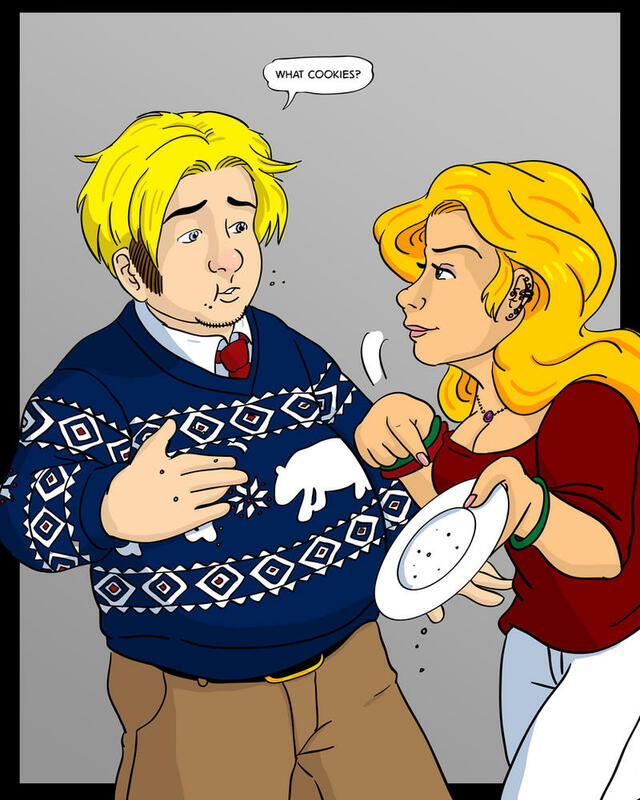 Something tells me those cookies were for company... and wiping the incriminating crumbs on your amazing holiday sweater is not making your "what cookies?" story very believable.